Here are pictures of a customer’s memory quilt. She did an excellent job piecing together a memory quilt using different types of fabrics from clothing. Some of the fabrics were cottons, some were wovens, and there were even tie fabrics mixed in. The Topper then sashed the blocks with cornerstones and used squares of clothing to make the middle border! Do you see the ties in the pockets in some of the blocks? Isn’t that clever! 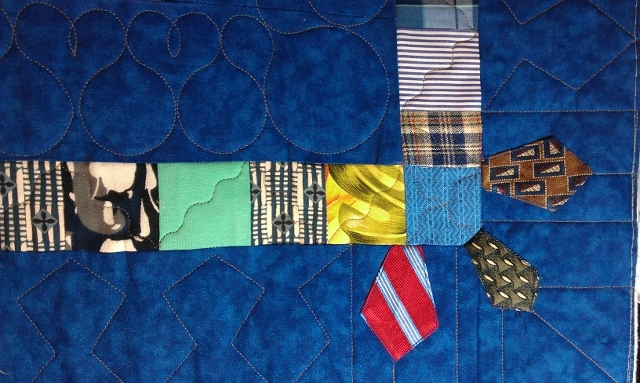 I love the way she took tie fabric and made ties in the corners of the outer border! NEAT! 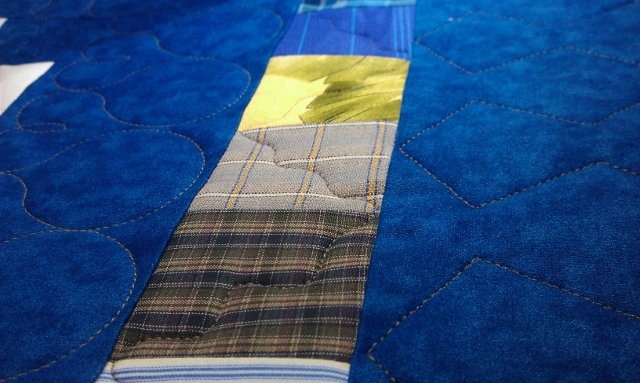 The blue fabric she chose for the borders was the perfect color choice for tying all the block fabric colors together. 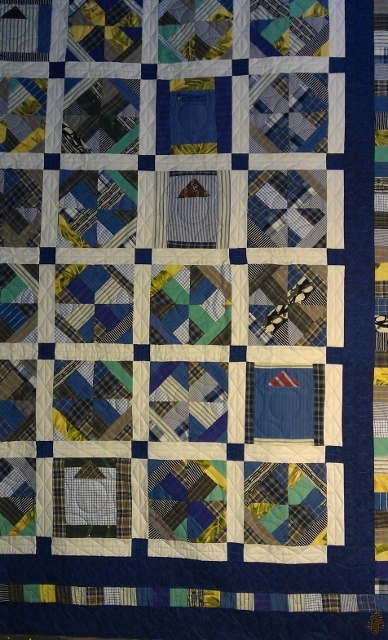 I quilted each block, cornerstone, and sashing with a specific quilted pattern. Simple heart shapes can be seen in the inner border and cornerstones. 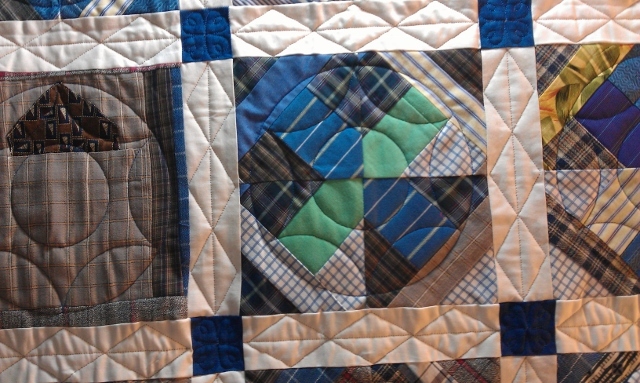 Circular and straight line quilting was chosen to balance out the block patterns in the quilt. The quilt was then trimmed so it was ready for the Topper to bind. The quilt was returned by USPS Priority mail insured with signature delivery confirmation.